The Taliban has confirmed that Mullah Omar is dead. Why this spells big trouble for al Qaeda in its fight against ISIS. Taliban spokesman Zabihullah Mujahid has confirmed on his official Twitter account that Mullah Omar is dead. And the Taliban’s political office has apparently conceded that the initial reports, first confirmed by the Afghan government, were accurate: Omar died more than two years ago, in April 2013. This fact seems to still be in dispute, however, as Mujahid’s statement implies that Omar died only recently. Either way, this stunning turn of events should cause problems for both the Taliban and al Qaeda. Until this week, the Taliban acted like Omar was alive. The group released a biography of Omar this year and even published a statement in Omar’s name just a few weeks ago. If Omar died more than two years ago, as has been claimed, then the Taliban has been faking it. Moreover, the Taliban only admitted that Omar was dead after the Afghans and other sources pushed the story into the press. This is sure to sow additional confusion and dissent in the group’s ranks. In other words, Omar’s successors have been lying to the rank-and-file concerning the fate of a jihadi legend. Additional trouble is brewing for al Qaeda as well. Ayman al Zawahiri’s organization has repeatedly acted as if Mullah Omar is alive and well. In fact, al Qaeda made Mullah Omar’s role a central pillar of its response to ISIS’s ideological challenge. Abu Bakr al Baghdadi’s men will now gleefully seize on Omar’s death to advance their own cause. In February 2014, al Qaeda disowned Baghdadi and his Islamic State, which claims to rule as a caliphate over large portions of Iraq and Syria. Ever since then, Baghdadi and his ISIS supporters have vied with al Qaeda for supremacy in the jihadist world. Baghdadi says he is the Caliph, the “Emir of the Believers,” and he therefore demands the loyalty of all other jihadists, including al Qaeda’s men. Al Qaeda has responded to ISIS’s power play by repeatedly arguing that Mullah Omar is the rightful “Emir of the Believers.” Al Qaeda hasn’t come right out and called Omar the Caliph, but the group has repeatedly implied it. In July 2014, al Qaeda’s propaganda arm, As Sahab, released an old video of Osama bin Laden explaining his oath to Omar. “My pledge of allegiance to the Emir of the Believers [Mullah Omar] is the great pledge of allegiance, which is mentioned in the chapters of the Koran and the stories of the Sunnah,” bin Laden said. “Every Muslim should set his mind and heart and pledge allegiance to the Emir of the Believers Mullah Muhammad Omar for this is the great pledge.” The video was recorded prior to the September 11, 2001 attacks. But the message it was intended to convey was still relevant: Bin Laden swore allegiance to Mullah Omar, so all others should as well, and there was no need to join Baghdadi’s cause. Al Qaeda released a new propaganda bulletin, “Al Nafir” (meaning “call to arms” or “call to mobilize”) that same month. “The first edition begins by renewing the pledge of allegiance to [the] Emir of the Believers Mullah Muhammad Omar Mujahid, may Allah preserve him, and confirming that al Qaeda and its branches everywhere are soldiers among his soldiers,” al Qaeda’s propagandists explained. Al Qaeda was genuflecting to a corpse. ISIS has repeatedly seized on the ambiguity surrounding Omar’s fate in its broadsides against al Qaeda. The caliphate’s propaganda, in both Arabic and English, has consistently hammered the theme that Omar is an absentee leader. And Baghdadi’s supporters will now say they were right all along. For instance, Dabiq 10, the latest edition of ISIS’s English-language magazine, devotes an entire article to a comparison of Omar’s and Baghdadi’s credentials as the “Emir of the Believers.” The piece begins with a question from a hesitant ISIS follower who wants to know if it is OK to switch his allegiance from Omar to Baghdadi. The questioner, who is likely an invention of ISIS propagandists (but who represents a very real dilemma in jihadist circles), begins by wondering if Omar “is still present” and “still exists.” Other ISIS supporters have more forcefully argued that Omar was dead, or at least irrelevant to the jihadists’ current wars. Mullah Omar’s confirmed death is, therefore, of crucial importance to al Qaeda. Did al Qaeda’s leaders not know that Omar was dead? This would be bad enough for their case against ISIS. Or did al Qaeda pretend that Omar was alive for propaganda purposes? This would be even worse from the perspective of all those “soldiers” fighting under al Qaeda’s banner. Zawahiri’s organization will find a little wiggle room, but not much, if it can be proven that Omar died more recently. Even in that case, al Qaeda will be confronted with another question: If not Baghdadi, then who is the supposed “Emir of the Believers” now? It is not at all clear how Zawahiri and his jihadists will handle this dilemma. Indeed, al Qaeda’s jihadists around the world—from the Arabian Peninsula, to the Caucasus, to the Levant, to the Maghreb and elsewhere—have pointed to Omar as their de facto emir. So have jihadist organizations in South Asia, including the powerful Haqqani Network and the Pakistani Taliban. All of them are now without a spiritual figurehead. There has always been some sleight-of-hand with respect to Omar’s international role. There is no reason to believe, for example, that he exerted great influence over al Qaeda’s operations outside of South Asia. Declassified files recovered in Osama bin Laden’s compound show al Qaeda’s leaders, not Omar, are in control of the organization’s various “branches.” Instead, al Qaeda has operated outside of Afghanistan and Pakistan with Mullah Omar’s presumed blessing—a powerful endorsement from a widely revered jihadist. Now that Omar is gone, his stamp of approval is as well. And ISIS’s supporters will have a field day. After all, there is recent proof of life for Baghdadi, including a stirring appearance in a Mosul mosque last summer. Baghdadi may or may not be wounded, as rumors suggest, but few think he is dead. Only one “Emir of the Believers” is still in the fight, and it isn’t al Qaeda’s. 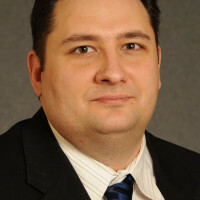 Thomas Joscelyn is a senior fellow at the Foundation for Defense of Democracies and the senior editor of The Long War Journal.